On February 19th, 2010, hand #40,000,000,000 was dealt on Pokerstars. 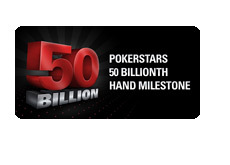 Approximately seven months later, Pokerstars is preparing for the 50 billionth hand to be dealt on its site. 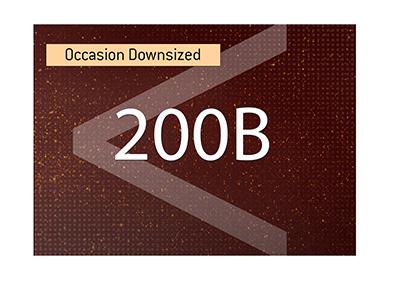 In honor of the upcoming 50 billionth hand (which is expected to be dealt sometime before the WCOOP main event gets underway on September 26th), Pokerstars is unleashing a number of different promotions that its players can take advantage of. Starting with hand #49,700,000,000, Pokerstars will be awarding cash prizes to players that are dealt into every millionth hand. Players will be awarded $50 for every VPP that they earned in the previous 50 hands that were played on that particular table. All players that are dealt into the hand will receive a minimum of $50, with the winner of the hand receiving double their cash prize. The 50 billionth "Mega Milestone" hand will award each player that was dealt into the hand $500 for every VPP that they earned over the previous 50 hands (at that table). The winner of the hand will have their prize doubled, plus they will take home an additional $50,000. Each of the players that are dealt into the hand will also receive a $5,200 WCOOP main event ticket. So, the winner of the "50 Billion Mega Milestone" hand could conceivably walk away with well over $55,000 in cash and prizes. 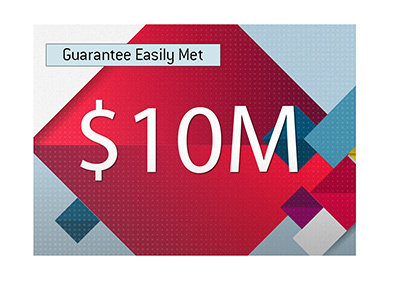 In addition to the Milestone hands, Pokerstars will also be offering special "Super Sit & Go" tournaments and deposit freerolls that will run in conjunction with the 50 Billionth Hand promotion. 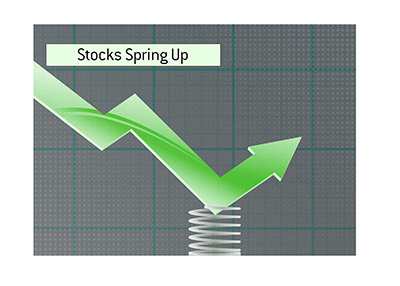 You can read more about those promotions here. "Senecady" from Stockholm, Sweden was the lucky winner of the 40 Billion "Mega Milestone" hand in February, taking home $24,000. Who will be the lucky winner this time around?